Much as I LOVE this guitar, it really does need to go to a good home. 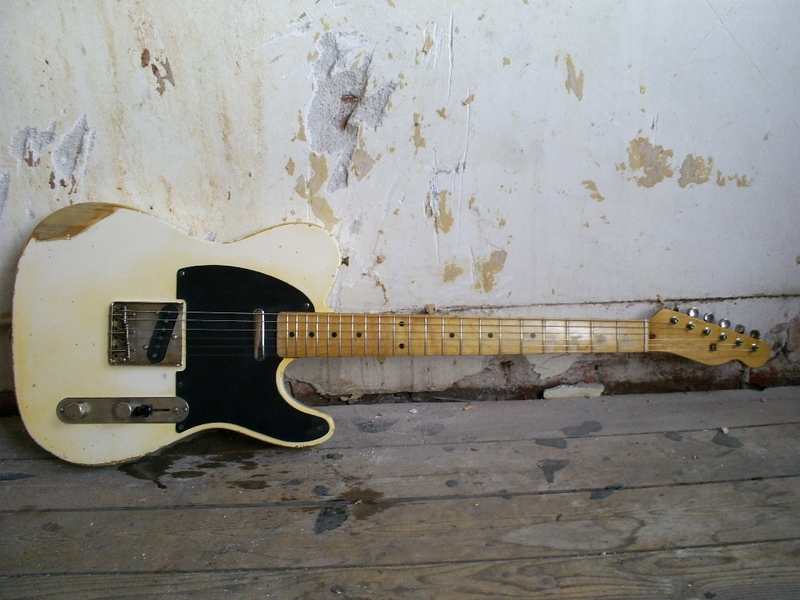 So I present a stunning and all original Fender Crafted in Japan Telecaster Custom - a real rock-n-roll machine with a broken-in feel and a gnarly tone. A humbucker in the neck position gives you fat rhythm sounds you might not expect from a Telecaster, and the bridge pickup keeps those classic, searing tones intact. Individual volume and tone knobs for each pickup further enhance the tonal range of the 72 Tele Custom. Playability is superb, the Tele is fitted with a 184R / 7.25" radius maple fretboard, 21 Narrow Jumbo frets, perfect for chord work or big bends. The red tortoishell pick guard adds a twist to the black ash body is a rare factory fited option. As with all Japanese Fenders, the guitar is extremely well built, plays like a dream and are becoming increasingly rare. There's nothing better than kicking back with an old Telecaster, and I have been using these jam tracks to get in a little practice over the last few weeks.